The songbird paid tribute to Art on this mesmerizing day with a beautiful line she dedicated to art. Art is an essential part of how we understand and experience the world. Great connoisseurs and patrons of art celebrate 15th April as World Art Day. World Art Day (Rittik Day) is an international celebration of the fine arts which was declared by the International Association of Art.”Art is always the best excuse to get your hands dirty” says International Singing sensation Soumita Saha. 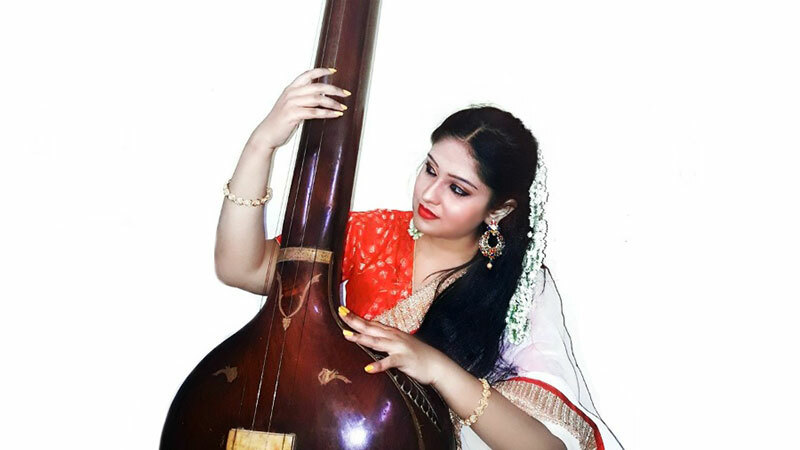 Soumita is not only a good playback singer in tollywood but also an artist. She is know for her international hit number Ishq followed by many other amazing numbers. She is one of most reputed young social activist known for being verbal about various social issues. The Firebrand singer from the city of joy has already won hearts of many with her heart touching poetry and quotes. She has persued architecture and is a gifted painter who has explored different genres of art with her mesmerising skill. “The world of art has evolved manifold with the advent of technology and human intelligence. Art to me is the finest medium to articualte what my soul nurtures. Art is the food for soul. Even though art today speaks volumes, irrespective of the form of art in focus. Fine arts, photography, music and even performance arts has transformed with age. Being attached to performing arts and music industry feels like a bliss, I feel it helps me convey my feelings better. It bridges the gap I always felt exists between the mind and canvas “ says the diva with golden voice. Speaking about her passion for painting the ravishing bengalee beauty said “ Art is the food for soul that keeps me alive” .